After a long day of driving or hiking, the natural hot springs at Roper Lake State Park are inviting and invigorating. Enjoy desert vegetation, an accessible fishing dock, and stunning views of Mount Graham. Roper Lake is stocked with Largemouth bass and Rainbow trout; it's a great place for kids to catch their first fish. Boats are limited to small electric motors, creating ideal conditions for a sail board or a canoe. Enjoy five miles of trails in the park and nearby Dankworth Pond. Take advantage of excellent birdwatching and glimpse Gamble's quail and heron. The park's camping cabins offer an easy, fun camping experience. 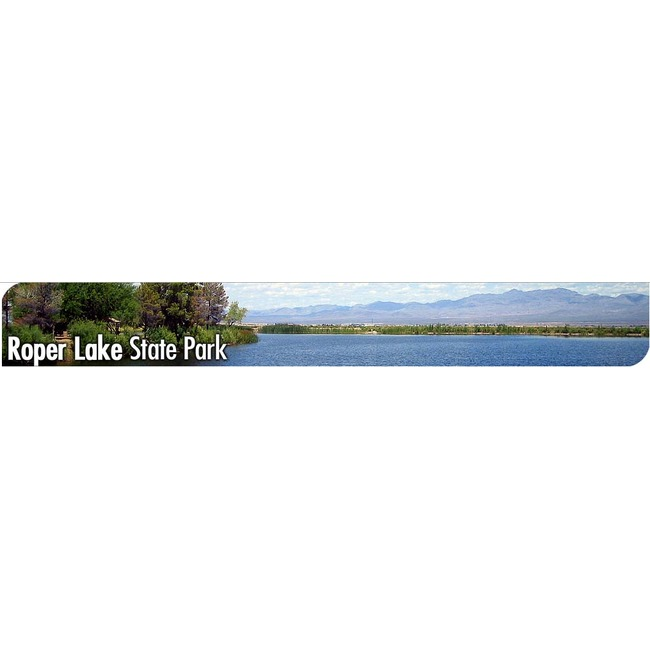 Roper Lake has 30 lake surface acres, a boat ramp, natural stone hot tub, a swimming beach, a day use island with picnic tables and grills, camping cabins, and campgrounds. Reservations are available for camping cabins and select campsites. 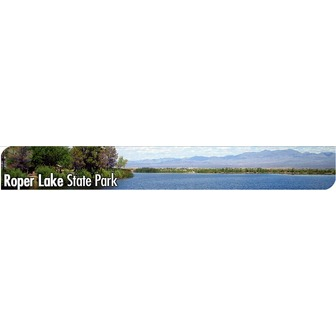 Facilities available at Roper Lake State Park. The Roper Lake Visitor Center is open year round from 9 am - 5 pm. It features a gift shop, local area information, Junior Ranger programs, and restrooms. Roper Lake State Park has modern, handicap accessible restrooms in the Visitor Center. There are also 2 restroom buildings in the campground. The Gift Shop, located in the Visitor Center, has books, clothing, children's toys, flora and fauna guides, fishing equipment and bait. Hours are 9 am - 5 pm. Island Group Ramada: Large grassy area, near swimming beach, includes BBQ grills and water spigots, no electricity. Maximum Group Size: 30 people. Restrictions: NO fishing in swimming areas, no bottle containers, and no vehicles in day use area. Please leash dogs. Bring wagon or other device to haul picnic items. The walk to the Gazebo is about 150 yards. Hours: 6 am - 10 pm. Group Use Fees: $25 reservation fee in addition to per vehicle entrance fees. East Mesa Group Ramada: Large Group Ramada with picnic tables, BBQ grills, water spigots, and electric outlets. Parking for 20 cars. Overlooks the lake. Group Use Fees: $25 reservation fee in addition to per vehicle entrance fees. Gila Group Area Campground: 15 campsites surrounding a large group Ramada with BBQ grills, large fire ring, and picnic tables. No electric in this area. Water is available. There is a 10-vehicle minimum to reserve the group area. $25.00 reservation fee in addition to camping fees applied per vehicle per night.